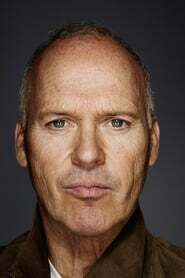 Michael John Douglas (born September 5, 1951), better known as Michael Keaton, is an American actor, well known for his early comedic roles in films such as Night Shift, Mr. Mom, Johnny Dangerously, Beetlejuice, and for his dramatic portrayal of Batman in Tim Burton's Batman and Batman Returns, as well as lead roles in other films including The Paper, Jackie Brown, Jack Frost, White Noise, Cars, The Other Guys and Toy Story 3. Description above from the Wikipedia article Michael Keaton, licensed under CC-BY-SA, full list of contributors on Wikipedia. as "Adrian Toomes / The Vulture"
as "Adrian Toomes / Vulture"
as "Bruce Wayne / Batman"
as "John Kelly (aka Johnny Dangerously)"